United States Olympic Committee (USOC) chief executive Scott Blackmun has received a six-year extension to his contract at the body's annual Assembly today in Colorado Springs in reward for the "spectacularly good job" he is doing. This comes despite a tumultuous year for the organisation in which they surprisingly nominated Boston as the US contender for the 2024 Olympics and Paralympics only to be forced into a U-turn six months later, withdrawing their support in favour of Los Angeles, the city most people had assumed would be selected in the first place. Blackmun admitted himself at the opening of the Assembly that they had made a "bad call" in supporting Boston and that he and USOC chairman Larry Probst have been eating "large slices of that always nourishing . . . humble pie" ever since. But in what can be seen as a huge confidence booster for the official, Probst said today that it was a "no brainer" for he and the Board to extend Blackmun's contract. 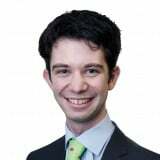 He will serve until at least June, 2021, and is then expected to be given the option to extend it further thereafter. “In his five-plus years as chief executive, Scott has done an extraordinary job of professionalising the USOC, dramatically increasing the resources available to America’s elite athletes and ensuring the organisation plays an appropriate role in the worldwide Olympic and Paralympic Movements,” Probst said. When asked about the timing of the announcement, Probst described it as a "process that has unfolded over multiple meetings", before adding that it was seen as "an appropriate time" now that the situation with Boston has been resolved. Since Blackmun took up his post in 2010, the US have enjoyed success at both the Vancouver 2010 and London 2012 Olympic Games, while also nearly doubling net philanthropic support in the 2009 to 2012 period from the previous four years. 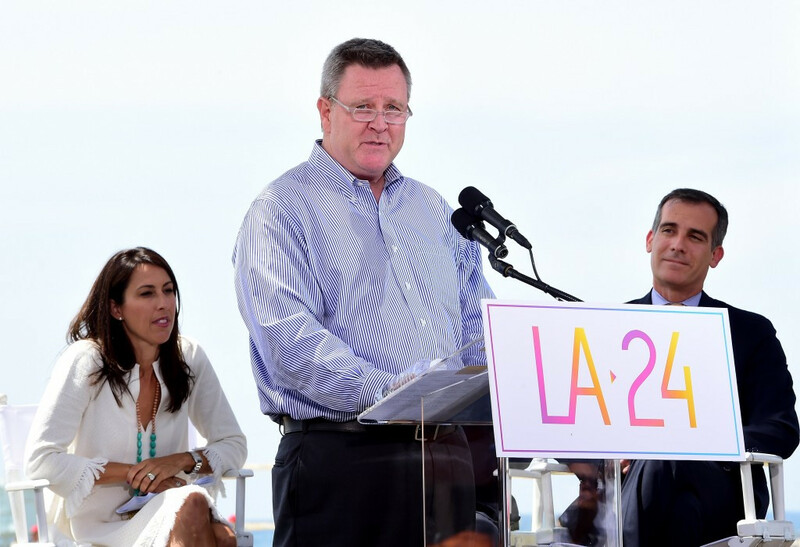 Speaking after the meeting, Probst was also full of praise for the progress made by Los Angeles 2024 in the 24 days since they were confirmed as the US contender. Bid leader Casey Wasserman met the Board today and gave them "a lot of confidence that he has the passion and vision to get thing done, and for the US to deliver a bid that is worthy of the competition", he said. Longstanding relations between Wasserman and both Blackmun and Probst were also praised and they "don’t anticipate any issues going forward between Bid Committee and the NOC." Los Angeles is one of five cities to have submitted its bid to the International Olympic Committee last week, with opposition provided by four European cities in Budapest, Hamburg, Paris and Rome. A final decision is set to be made by the IOC at its Session in Lima in 2017.